If your beauty sleep is of paramount importance to you, you need to possess a pillow that helps you sleep like a baby. If you are determined to select the best pillow for yourself, you must first know what type of sleeper you are. After all, there are different pillows for stomach sleepers, back sleepers, and side sleepers. There are various things for you to take into consideration before splurging on a pillow. Fret not, as we are here to help! Here are 5 tips to choosing the best pillow! So, are you ready to identify what the best pillow for you is? Tip 1: What is your budget? If you are strapped for cash, you should opt for a pillow that has a blend of feathers and down. When selecting such blends, it is advisable for you to select a pillow where the feather core is surrounded by down clusters. You must ensure that the pillow boasts of large clusters of down and features. It is essential for you to ensure that the pillow has great fill power. The greater the fill power, the larger the clusters. Why should you opt for pillows with greater fill power? 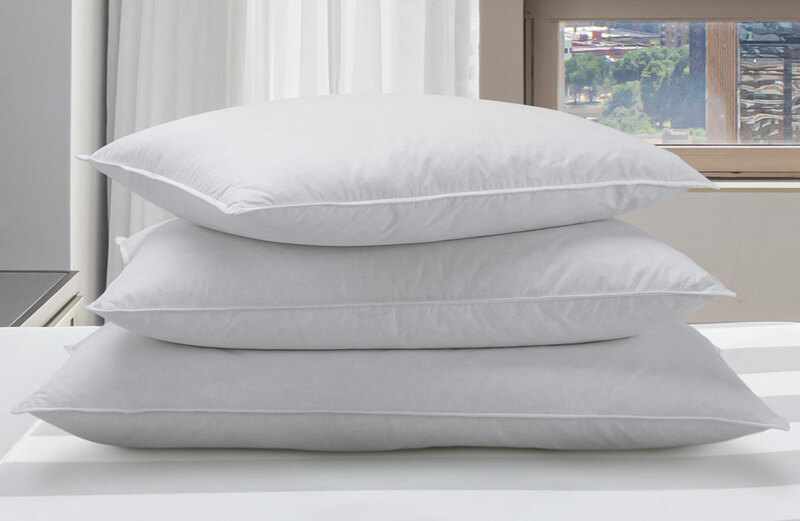 Well, a pillow that boasts of larger clusters provide enhanced insulation and also breathe better, allowing the pillow to last for a longer period of time. Therefore, when purchasing a pillow, you must opt for a pillow that boasts of a high fill power figure. A fill number of 800 is deemed a high-quality down pillow. Tip 3: How convenient is it to clean the pillow? Of course, you must take into consideration if the pillow is easy to clean and maintain. The pillow you intend to acquire must be machine-washable. In addition to being easy to clean, the pillow must also be able to keep the fibers together and maintain its shape even after several washes. Checking the thread count of the pillow is often the best way to identify if the pillow is of high quality. The thread count is specified as TC and it is usually followed by a number that indicates the number of threads present in 1 sq. inch of fabric. The general rule of thumb implies that you should opt for a pillow that boasts a thread count of 200 or above. It is also essential for you to pay a close attention to the cover of the pillow. It is advisable for you to choose a pillow that features a cotton cover. However, you must ensure that the cotton cover is not prone to dirt; in addition to that, you should also opt for a pillow cover that is hypoallergenic. You should also lean towards purchasing pillows that have a removable cover. If the cover is removable, it will help elongate the lifespan of the pillow. Taking note of this tips when I buy a new set of pillows.